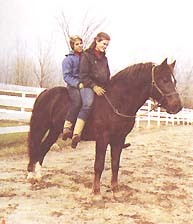 A show horse supreme with the soul of a pocket pony, Parade was renowned for his versatility and gentleness. 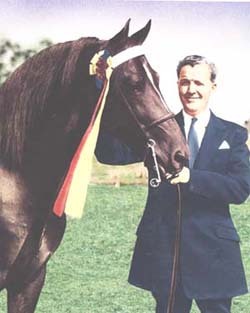 Parade was the 1955 Grand Champion Stallion In-Hand at Northampton, Mass, and Reserve Champion in harness and under saddle. 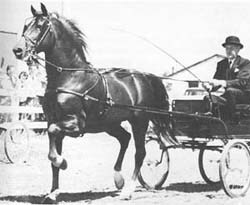 Paired with his son Broadwall Drum Major, his talent under harness helped make the team an unbeatable carriage pair. 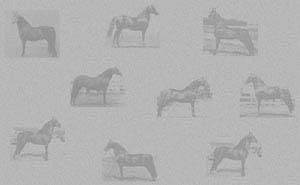 Parade became adept at dressage and even toured with the Lippazans of the Spanish Riding School in 1964. 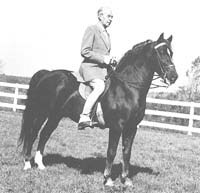 Yet, instead of long absences for professional training, he remained largely at the Fergusons (his owners) farm as their pleasure mount. 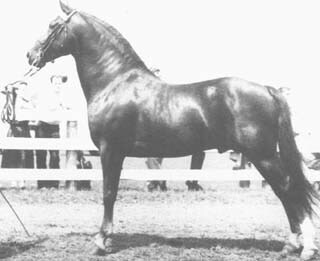 Parade lived to the age of 31 and was a prolific sire of impressive descendants, many bearing the Broadwall prefix. 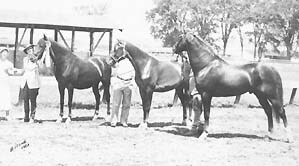 His get include Easter Parade (unbeatable in harness), Grand Champion Broadwall St. Pat, and Grand Champion Mare WASEEKA'S THISISIT, out of the dam of Waseeka's Nocturne. He stamped his offspring with his talent, his head, and a his superb, willing tempermant.